Mrs. Smith, our librarian here at Amber-Pocasset, has some big news about one of our books in the library. "The Outsiders" By S.E. Hinton is having a birthday. This is the 50th anniversary for this iconic classic. S.E. 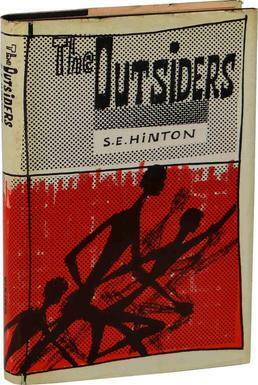 Hinton wrote her first book "The Outsiders" in 1967 when she was 17 years old. She still lives in Tulsa, Oklahoma. If you haven't read this book I would check it out along with some of her other books. "That was Then, This is Now", "Rumble Fish" and "Tex".